Kanye West is always thinking of the innovative ways to explore his artistry and plan his next best move. This year alone he has already released new music and new Adidas sneakers, among other ventures. But now Yeezy is said to be expanding his empire to include a lead role on the big screen. 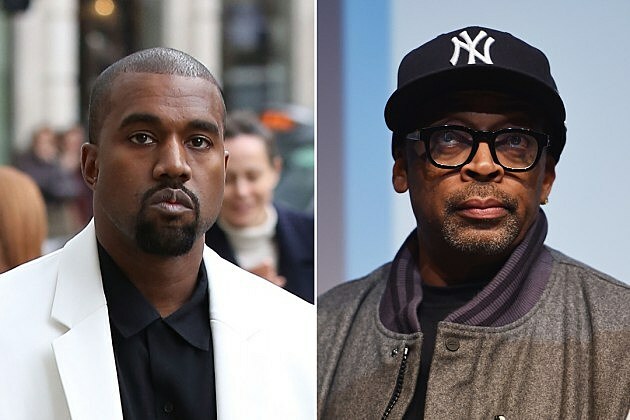 According to The Wrap, the “All Day” rhymer is rumored to be teaming up with director Spike Lee for Amazon Studios’ first movie project called Chiraq. While details surrounding the project are mum, Lee is reportedly looking at West and fellow Chi-City rhymer Common to star in leading roles. A-List actors Samuel L. Jackson and Jeremy Piven are also in talks for major roles in the film. The film would allow Amazon.com, which has strictly focused on TV show streaming much like Netflix, to expand and produced original films. Although we have seen West make cameo appearances on the big screen before — he flexed his acting chops in Anchorman 2 and in 2008’s The Love Guru — this would be his first leading role. In the meantime, listen to an unreleased Kanye West song called “Midas Touch” here.